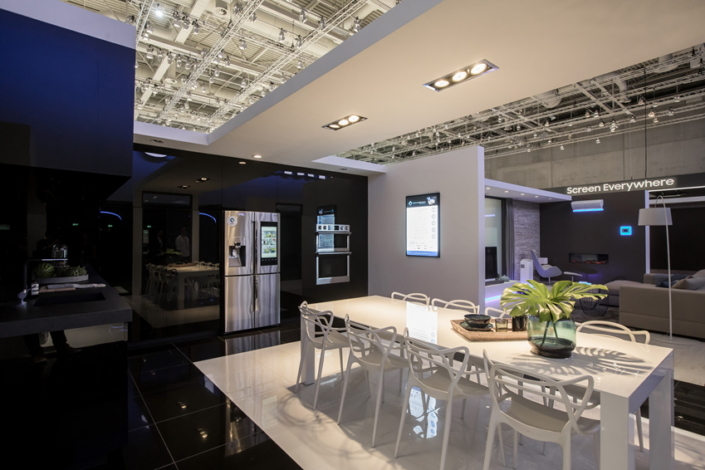 At this year’s IFA, the leading consumer electronics show in Berlin, Samsung Electronics demonstrated an array of new Internet of Things (IoT) and intelligent services for home appliances. By 2020, all Samsung devices will leverage connectivity. In preparation for the full-fledged smart home era, Samsung has been spearheading the standardization of global IoT technologies as a core member of the Open Connectivity Foundation (OCF). This year, the company is introducing an array of innovative products including Family Hub refrigerators with more advanced voice capabilities, and a Samsung Connect app that’s capable of seamlessly products integration across the cloud. Before we dig into those innovations in detail, check out this video to gain a glimpse of how Samsung is bringing IoT connectivity to more home appliances. 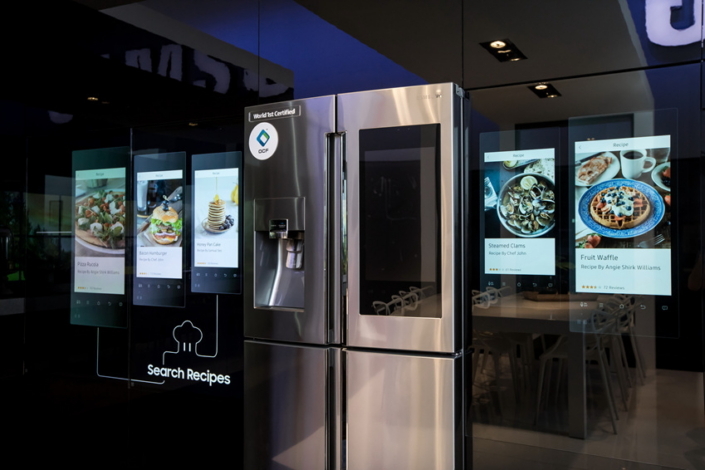 Samsung has introduced advanced voice capabilities to Family Hub that allow users to talk to the smart refrigerators to use it, and will expand the voice functionality to European markets this year. This convenient enhancement will make it possible to carry out a wide range of tasks, from looking inside the fridge to playing music, by simply speaking to the fridge. Samsung is also actively working to evolve Family Hub into an IoT control center, to the point where users will be able to control all of their home’s connected appliances through voice recognition. Just imagine being able to summon your robotic vacuum to clean up the kitchen or monitor your laundry cycle while you cook. The possibilities are endless. 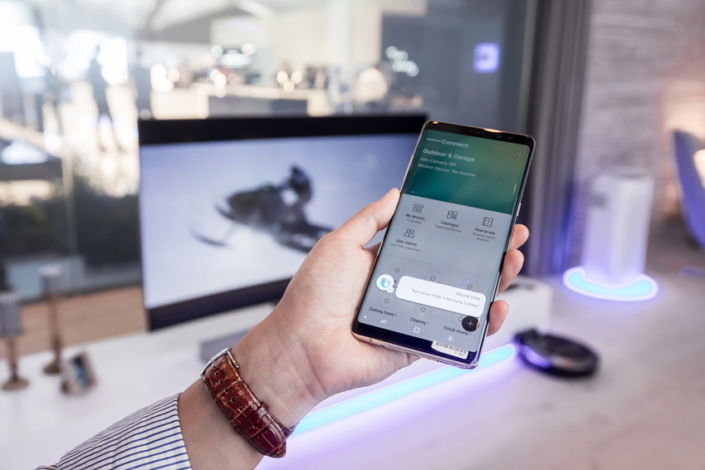 Samsung is also helping to deliver a smart home with the Samsung Connect app, which is compatible with all devices and operating systems, and allows users to control Samsung products through the cloud. With Bixby in Samsung smartphones, it is possible to control the Samsung Connect app by voice recognition. Samsung’s remote diagnosis service will be upgraded by linking with the Samsung Connect app. Customers will also be able to receive guidance through their smartphones to identify and solve problems with Samsung’s smart home appliances in real-time. Samsung is the first in the industry to receive the OCF certification for its smart TVs, Family Hub refrigerators and air conditioners, and intends to expand the certification to all of its home appliances throughout the year. The OCF certification is a standard that enables compatibility between the products of member companies, strengthening connectivity so that different kinds of devices may communicate effectively with one another. In addition to Samsung, more than 390 companies have joined the OCF. Samsung is also working with various third parties to integrate voice support for functions including Amazon’s Alexa voice assistant into smart home appliances including its refrigerators, washing machines, air conditioners and robot vacuums, and Google Home support in its robotic vacuums as well. As the first in the industry to apply open APIs to home appliances, Samsung plans to focus on expanding services through collaboration with various smart home companies. Samsung will continue to contribute to creating meaningful changes in consumers’ lives and strengthening the industry’s IoT ecosystem. Stay tuned for more exciting developments ahead.